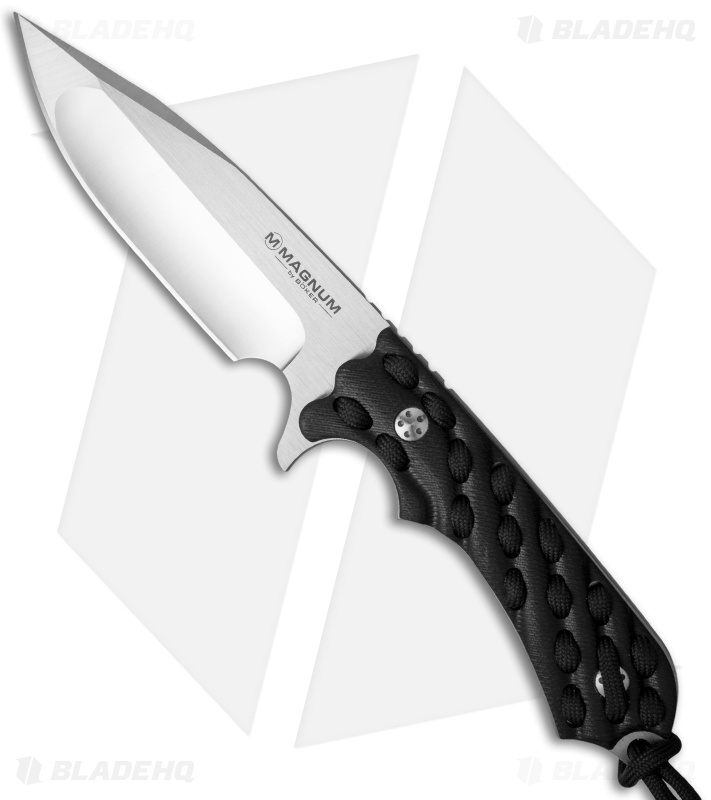 The Boker Magnum Sierra Mike fixed blade has a rugged design that feels solid and comfortable in-hand. The blade features a hollow grind to maximize cutting performance and a flat grind near the tip for added strength. 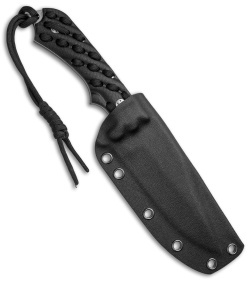 The handle has black G-10 scales—with woven paracord throughout—providing a no-slip grip. Includes a kydex sheath and belt adapter. 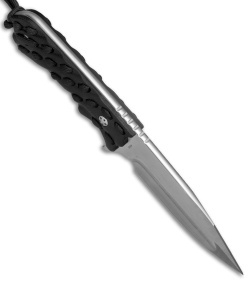 Versatile blade designed for heavy-duty use. Textured G-10 handle with wrap provides an extra secure grip. Kydex sheath with belt adapter allows for comfortable carry.